Save Marinwood-Lucas Valley - our community, our future: Meet the YIMBYs: Can tech bros change California’s housing policies? Meet the YIMBYs: Can tech bros change California’s housing policies? Watch out, NIMBYs: The YIMBYs are coming for you, and they know how to code. A group of tech executives from the likes of Microsoft and Yelp are organizing a lobbying group to promote state policies that would increase development and housing growth. 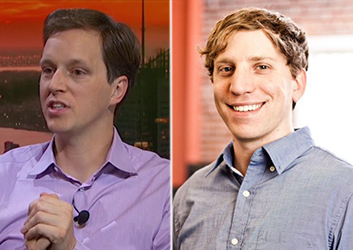 Dubbed California YIMBY — for “yes in my backyard” — the organization and lobbying effort is headed by Microsoft executive Nat Friedman, Pantheon CEO Zack Rosen, and San Francisco housing activist Brian Hanlon, according to The Information. So far, they’ve raised $500,000. The goal is to convince state lawmakers to pen bills that would increase density, limit the power of CEQA, ease property tax restrictions, minimize linkage fees, and reduce zoning limitations near transit hubs. The lobbying portion will be a 501(c)(4) that won’t have to disclose donors. While an average of 200,000 new homes were built in California each year between 1955 and 1990, the past decade has seen a dramatic decline in new homes, with each year averaging 80,000, according to the state’s Department of Housing and Community Development. California YIMBY isn’t the first time tech moguls have taken on housing politics. Google and Salesforce donated $300 million to reduce family homelessness, and both Google and Facebook plan to build housing on their campuses for low-income residents in addition to their employees. But California YIMBY, it seems, could be the first concerted effort for techies to influence state policy on a large scale. Critics have already come out of the woodwork, however. They argue that the YIMBY’s proposed changes will only benefit developers and not the current tenants of affordable housing units.